Jacqueline Valente isan exceptionally talented cliff diver. She is 29 years of age and resides in Porto Alegre, Brazil. She once said “It’s a unique opportunity and a dream come true,” says the Brazilian, of her opportunity to compete in the Red Bull Cliff Diving World Series. 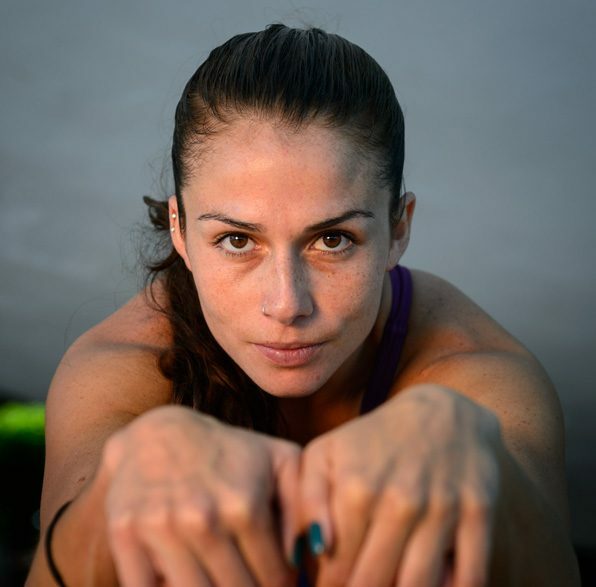 Having a gymnastics and performing background, she fell in love with the sport of high diving and got her spot in the Red Bull Cliff Diving World Series for 2014 where she dove from a cliff for the very first time. I used to be a gymnast and for a job opportunity she started to dive from lower highs. She just did her first cliff dive in Texas, She used to work in out and indoors aquatic shows. She start to dive in 2008 from lower high, maximum 10 meters. She started to dive from higher in 2011. Her first experience was in Texas where she got the 7th position. Jacqueline Valente did dive from the 20-meter platform at Hells Gate during the second stop of the Red Bull Cliff Diving World Series, Possum Kingdom Lake, Texas, USA. She is the only Brazilian Cliff Diver. With your gymnastics and performing background you fell in love with the sport of high diving and got yourself spot in the Red Bull Cliff Diving World Series for 2014 where you dove from a cliff for the very first time.Your professional career propelled to the height where you have been at the top of the world of cliff diving by women, winning 7th overall. Tell us something about this journey of success? Cliff diving arrived in my life without I never thought about doing this. In the beginning I took it as an adventure and a opportunity put in my life that I had to face and make the best of it. Now I felt even more in love with this sport and I want to continue doing that as long as possible, focusing on it and take the carrier as a professional athlete on this sport.